How do we imagine the cities of the future? What housing alternatives will we have? Based on the experimental housing formats of the “Wohnungsfrage” exhibition, the children will draw their future living space. Deliberating together encourages visions and ideas. 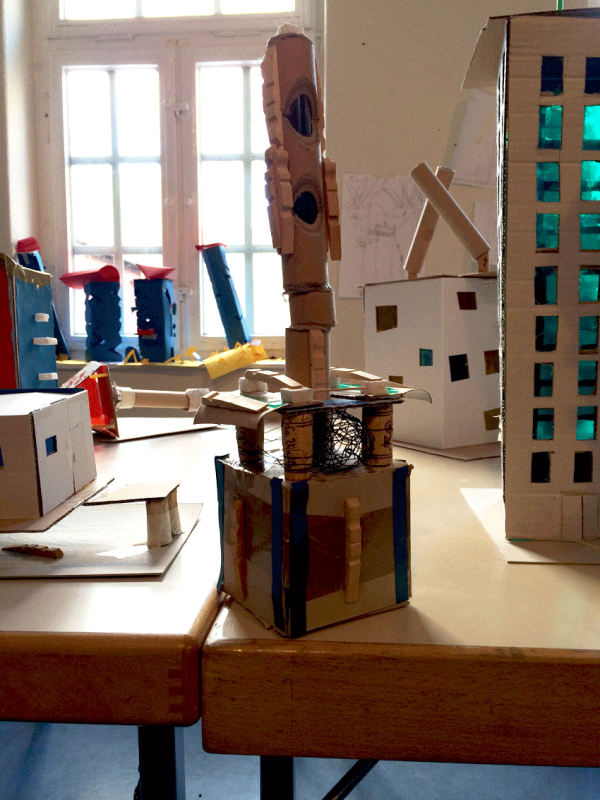 They will work on their architectural models in cardboard, fabric, wood and found materials. They can sketch and plan, fold, cut, punch and build on a small scale while learning about things like scales, materials and surfaces.